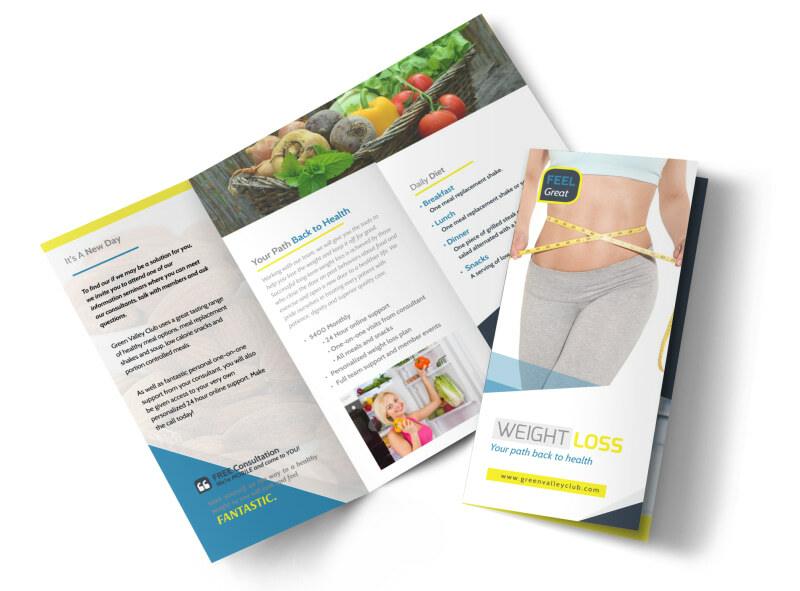 Customize our Weight Loss Brochures Tri-Fold Brochure Template and more! 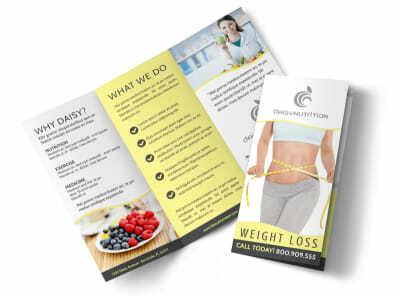 Show recipients how you can help them realize their weight loss goals with the details of your services printed inside this trifold brochure. 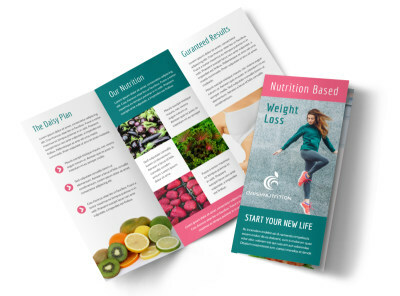 Customize your brochures with different fonts, colors, graphics and images. 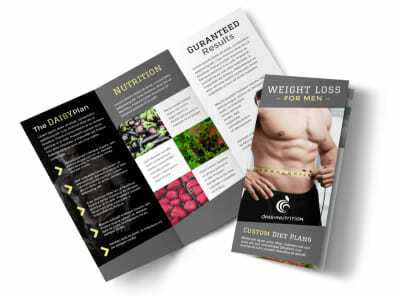 Print from where you are for faster access to your design or let the professionals print for you.